It's a vast risk to expect this series of 62 miniature paintings to represent the catastrophe of melting Antarctica. But skirting peril, they come close to doing so. They are tiny snapshots of a continent turning to liquid, glimpses of cascading ice sheets bringing death by drowning to global coastlines we once knew. With apparent abstraction, most magnify unique slices of unstable ice. It can hurt to look for very long. Metaphorical maps in shades of blue, they mark vanishing places. 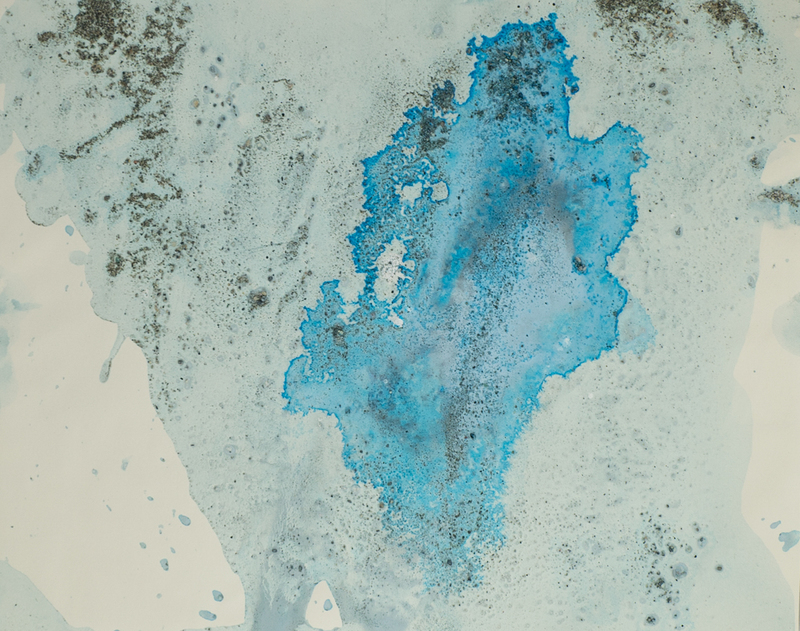 Visible are spinning currents and crusty textures formed by sediment and melted ice gathered during Xavier Cortada's voyage in 2006 to the continent, via a National Science Foundation Antarctic Artists and Writers Fellowship. The visit has shaped Cortada's activist art, advocating awareness and action in the context of the rising seas reconfiguring his native South Florida and beyond. A-56 (2007), titled after the enormous iceberg that has become an evolving metaphor, records earth's friable edges facing a relentless sea.